Modern Deep Space Missions require two way data transmission and high data rates. Due to the extremely large distances and the demand for high data rates, deep space ground stations require a very high transmit power and cryogenic cooled LNA systems. Deep space organizations demand very long lasting, large and precise antennas with high availability and maintainability. The reflector is good for Ka-band operation, the antenna pointing error is less than a few milli-degrees. 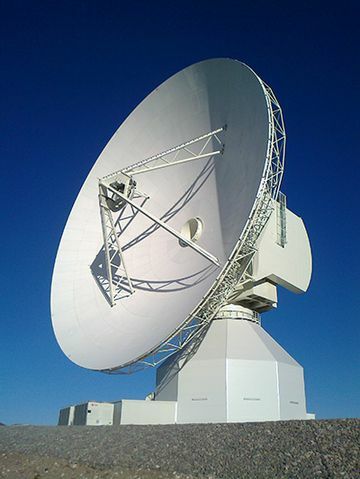 VERTEX ANTENNENTECHNIK has installed three 35-meter antennas to the European Space Agency, which are in operation supporting various international deep space missions.